FAQ: Can you build a timber deck to go with my swimming pool? We sure can! 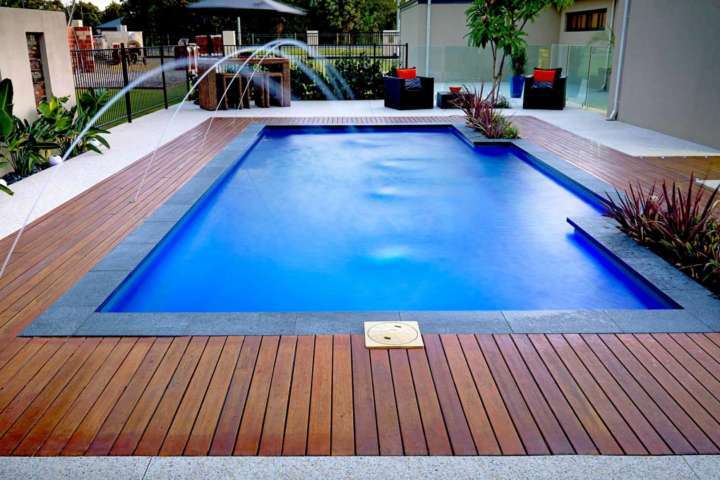 Ask for Timber Deck with your new pool. We custom-design all our projects, so our friendly staff will be able to work with you to design a timber deck to suit your backyard. Timber decking and swimming pools perfectly complement one another, so we’ve come to expect our customers requesting both in the same install. All you have to do is tell one of our staff members that you’re interested in another product, and we’ll do the rest! Artificial lawn also looks great alongside either a timber deck or a concrete or fibreglass swimming pool. PrevPreviousHow long does it take to install a timber deck?